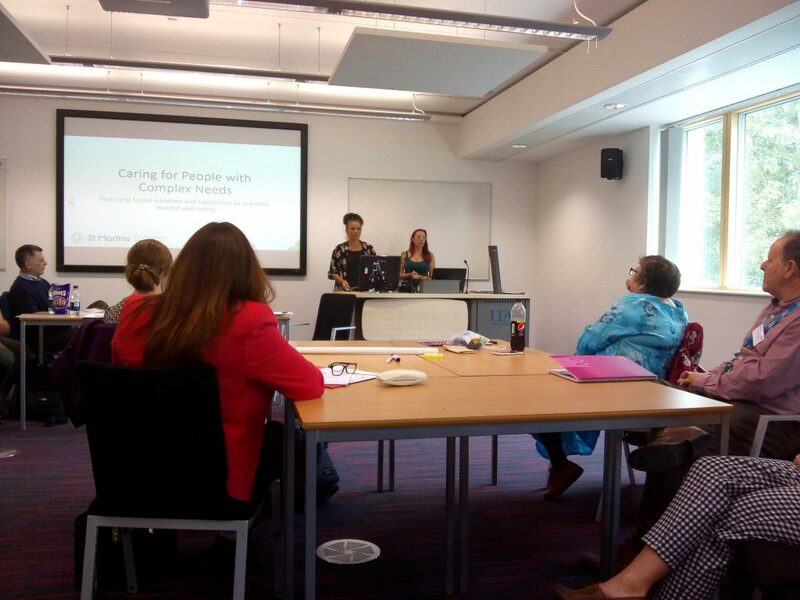 We were pleased to be invited to present a workshop at the recent Innovation in Interprofessional Practice conference at UEA looking at how the healthcare workforce across the region can collaborate to improve the support they offer. Cheryl O’Sullivan and Lucy Bone from St Martins Community Services department spoke about their experience of caring for people with complex needs. The focus of the conference was on innovation and finding new ways of working; an outcome of the workshop presented by St Martins was to produce a project which would improve the care of people with complex needs. Delegates at the conference included regional clinical commissioners, private and community care specialists, public health, researchers and people involved in workforce planning. Cheryl and Lucy spoke about the work St Martins does in the community with people who have hoarding and self-neglect issues and the need for a more long-term approach in this specialist area. A challenge is the time pressure on services. Sometimes it can take 2-3 years for somebody with severe self-neglect needs to make real progress. Another risk is people who are not on the radar of health professionals because their symptoms don’t present severely enough. It is those who slip through the net that St Martins currently supports through their Re-enablement Service. Graham Culyer and Donald Lane also spoke at the workshop about ‘experts by experience’; both have a history of substance addiction and believe their experience qualifies them to help people through a peer support approach. They would like to develop this into a project whereby people who are homeless and struggle with addiction can receive valuable input from those who are in recovery. Proposals from the projects put forward in the workshop were submitted to the Centre for Interprofessional Practice at UEA for consideration and we hope that the ideas and links made at the event will help us further develop our services.